As the technologies of cyberspace come to inhabit all parts of everyday life, Cyber Security has become everyone’s problem. We face a growing collection of adversaries who are agile, opportunistic, and increasingly strategic, developing an ecosystem of suppliers involved in delivering elements of attack capability. They seek to defraud consumers, exploit their trust, or invade their privacy; to misappropriate corporate secrets and intellectual property; to disrupt the operation of the state or critical infrastructure. Holding one of these studentships will allow you to study the problems and opportunities in Cyber Security from many different disciplinary perspectives, to understand the real-world challenges, and to make a contribution to solving some of the most significant problems society faces today. Applications will be considered from those with undergraduate and master’s qualifications in a wide range of disciplines: Cyber Security raises research challenges which span computing and social sciences, as well as associated academic areas. Funding is provided by EPSRC according to usual eligibility rules. For more details, to ask questions, or to learn how to apply, please contact Maureen York (maureen.york@cs.ox.ac.uk) as soon as possible. I’ve come across an interesting blog post, from the University of Lincoln, that may well be of interest. 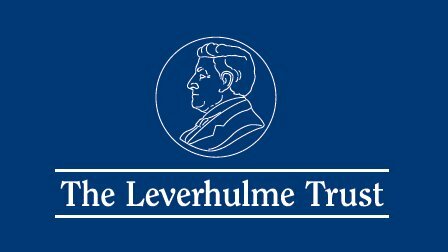 The post features some advice and insight from Gordon Marshall, the Director of Leverhulme Trust. Rather than repeating it all here, I would definitely recommend heading over to the Lincoln blog, where it also includes details on how the Trust works, their Programme Grants and the selection process. Workshop: Can you change the world through university communications? Rob McNeil, Senior Manager at the Migration Observatory, will discuss effective ways to use communications tools to deliver change, using examples from his work here at Oxford, and from NGOs in the UK and America.This discussion will look at the planning, development, delivery and evaluation processes for several projects and consider what made them succeed or not, and how to apply those lessons more broadly in the academic context. The effects of terrorism can have a significant impact on the UK. Identifying terrorist activity and understanding the associated network is key to countering any impact a network may exert. Understanding networks – we need effective methods to explore the potentially large volume of data available from a variety of sources, across a range of data formats (eg audio, visual, text) to help identify the key activities and individuals that form any network. Identifying individuals – we are looking for novel techniques that uniquely identify an individual, be those biometric or repeatable behaviours (eg within the digital domain). Priorities in this area include reducing the size, weight and power requirements of current forensic technology, moving to near real-time processing and the potential of remote operation without reaching back to large databases. Translating information – we need to extract information from different sources which may be in a wide range of different languages. In particular, we need to be able to rapidly prioritise sources of information (audio, paper and electronic) to enable human interpreters to focus only on key information sources for full translation. There is a launch event taking place in Reading, on 19 March, which I would recommend attending if you are considering applying. Please let me know if any of you are interested in applying.